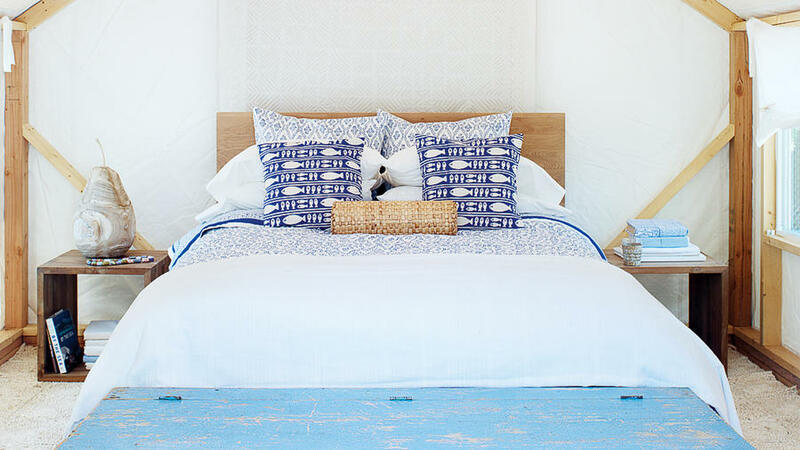 Toss bright pillows and covers onto beds or seating for easy color. 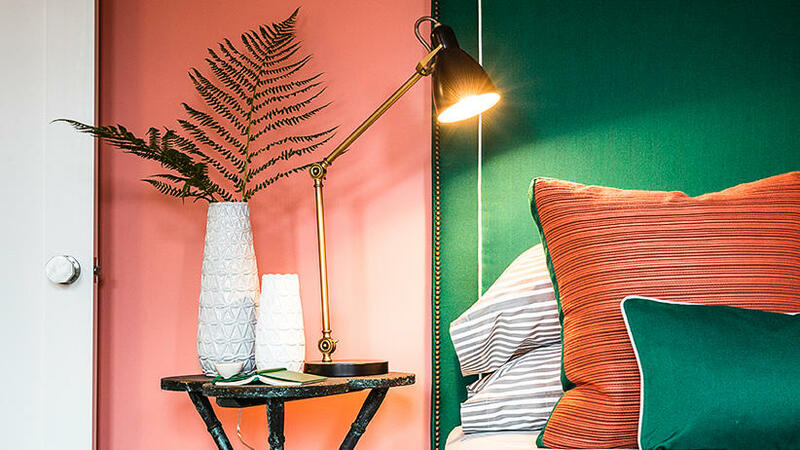 Denver designer Megan Hudacky positioned colorful elements on top of a neutral base. The warm geometric shapes add a modern feel, paired with a cozy burnt-orange blanket. Headboards occupy an expansive space in the bedroom. They can take many forms, from a purple tapestry to this traditional scarlet piece. Apply color theory for the ultimate design touch. 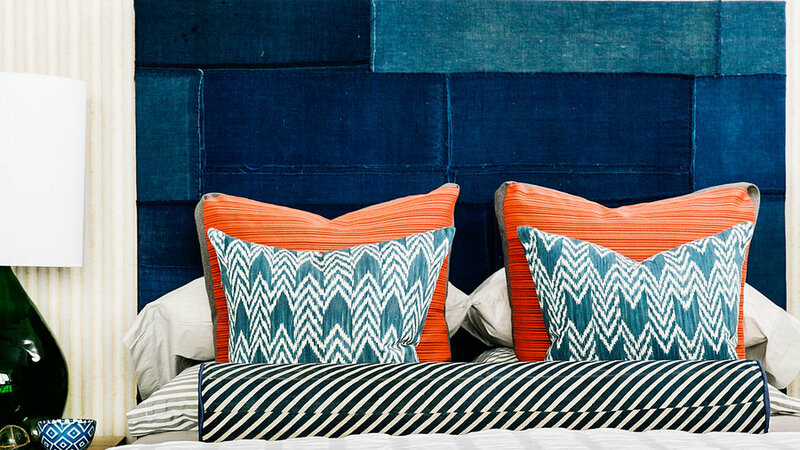 The blue headboard calms the sleeping area while the orange fabrics warm up the space. Seattle designer Brian Paquette upholstered the back of this bed with Japanese boro, an indigo patchwork. Painting walls comes to mind as the obvious method of adding color to a room. Go bright. Go bold. The color should reflect your personality and lifestyle. Yellow equals pure joy. 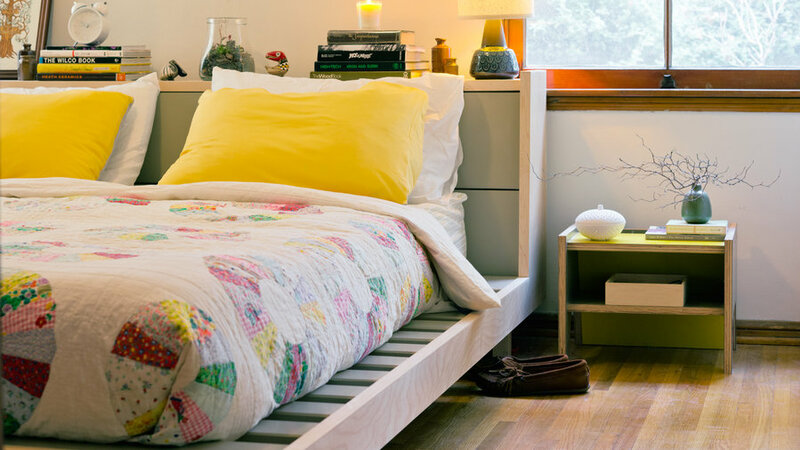 Add a dab of sunshine in your space with a fun dresser or desk. Snuggling beneath a family quilt feels like a warm hug. Luckily, these handmade blankets have tons of colors. Choose one with bright patterns to spread over your bed. 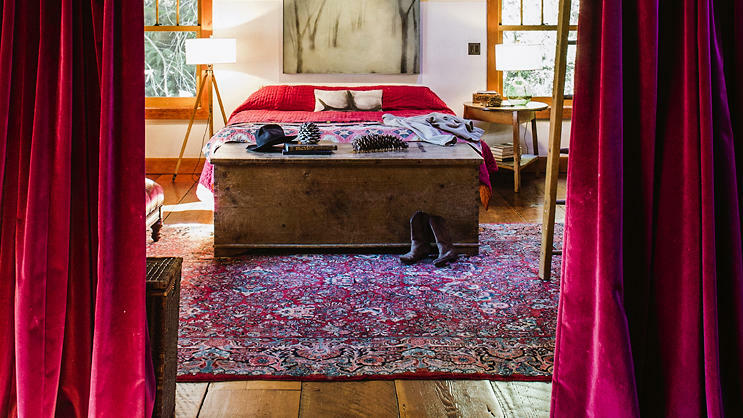 The quickest way to add an interesting hue to a bedroom comes via an area rug. Choose the color and pattern first, then decorate the rest of the room around it. Not everyone wants a taste of the rainbow in their sleep space. Stay colorful still with multiple shades of one color. Blue creates a relaxing atmosphere for rest. With a two-toned blanket, you can switch back and forth between colors periodically. The best feature? Rolling down the top part of the quilt for a contrasting border beneath pillows. Hang a prized piece of fabric anywhere in the bedroom for instant color. Bonus? Thicker material on the wall soundproofs the room for deep sleep. 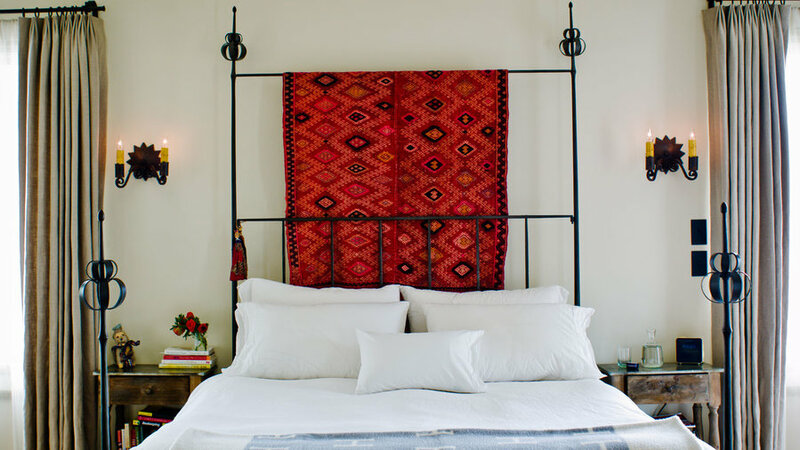 This Anatolia textile adds a pop of color and texture to the bed design. 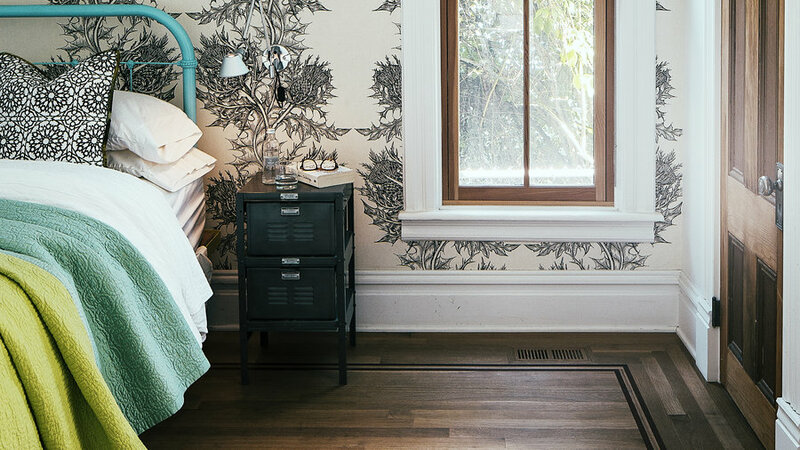 Paint a thrifted wrought-iron bed to complement the rest of the room. 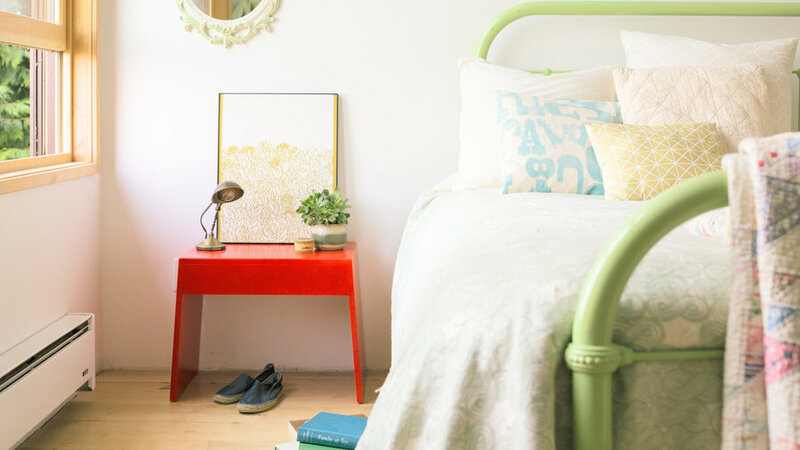 These light green railings look adorable with the poppy side table.